On a hot day at the beach, there’s truly nothing better than the feeling of an ice-cold drink. 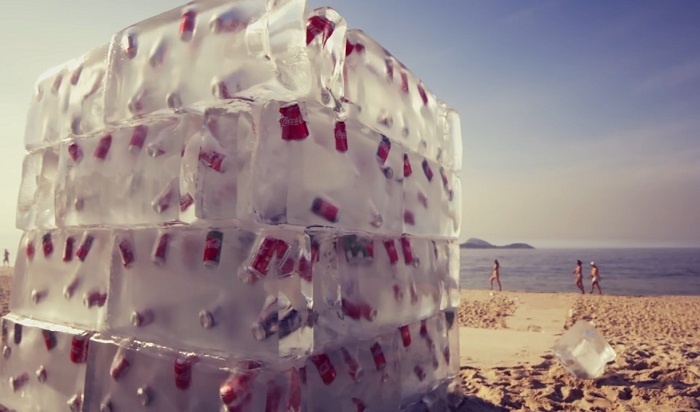 So when 500 cans frozen in a block of ice landed on Brazil’s Ipanema Beach, it was inevitable that it was going to cause a lot of excitement amongst beachgoers. Behind this popular stunt were experiential marketing experts Coca-Cola, who decided that the best way to promote the brand’s new packaging was to give away free cans to those in need, in a highly creative and unusual way. The activation wasn’t quite as simple as it sounds. Before being able to enjoy their cooling beverage, sun worshipers had to actually get the drink out of the giant ice cube, which was 2 meters in height and width, and weighed 8 tons, making it no easy task. With the drinks being such a tease to those dehydrated from the heat, people were seen frantically hitting the ice with hammers and using their body heat to make it melt. However, the dedication paid off as participants were soon rewarded for their efforts with refreshing cans of Coke by the bucket load. Through this great experiential activation, Coca-Cola cleverly managed to make consumers in Brazil desperate for its famous drink. Making them work hard for the cans extended the duration of the stunt, ensuring there was more time for brand bonding. Giving people exactly what they want at a time of great need is one way for a brand to gain fans, but doing it in unconventional fashion is also a sure-fire approach to ensure this loyalty is long-lasting. This isn’t the first time Coke has used experiential marketing in this way. It previously enabled expats in Dubai to get home carrying enough presents for their families in an incredibly touching stunt. Time, location and what’s on offer are key things to think about when planning a stunt. 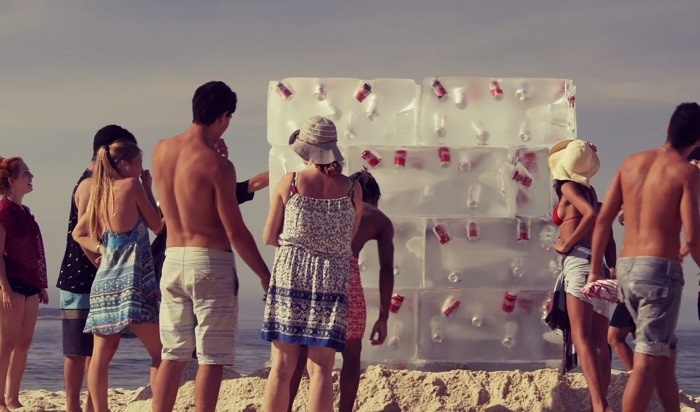 Coke’s success here proves that proper planning and great creative execution always pays off.